Its seems like we will be talking more about mystery sightings at unfamiliar locations all over the world like the one from my previous post on The Brazilian Vampire village which i still can't wrap my head around. The world is a very large place and i doubt that anyone has fully seen it all, in this one i'll be taking you into a village in Sichuan Province in southwest China. In a remote village called Yangsi the village of dwarfs because of course a good majority of them are dwarfs, born and raised in Yangsi 40% of the village's population are dwarfs. This unusual events has left scientists with more questions than answers because 1 out of 20,000 new borns have stunted growth but this seems to be the reverse for the residents of Yangsi. Scientists has conducted series of test on the dwarfs and their natural resources but still failed to fully explain the actual reason of this much stunted growth in one area. 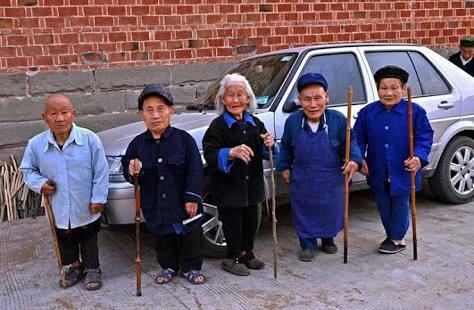 At first there were a total of 119 dwarfs in yangsi but reduced of recent to 80. This event was officially discovered in 1951 but the actual first sighting was in 1911 by an English scientist, Dr. Karyl Robin Evans who said he saw a few hundred dwarfs occupying an area. Many of the debunked theories were that there was a high concentration of Mercury in the soil, a lot of bad feng shui evil spirits for not burying their ancestors well which made a little sense since we are talking about the Chinese here with all their inner energy stuff, another one according to the Elders is that a mysterious illness came and struck every child between the age of 5 to 7 causing them stunted growth. But my favorite theory also described as its original legend was that a long time ago, On a faithful day a man named Wang caught an unusual black turtle with strange feet. Everyone told him to let it go but along with some other people he decided to cook and it anyways. The villagers believes it was the turtle was cursed them of stunted growth, the fair part is that the new recent generations seem to have escaped this curse. But however we might never get to know the real reason for such anomaly since most researchers has already concluded its was a random occurrence.